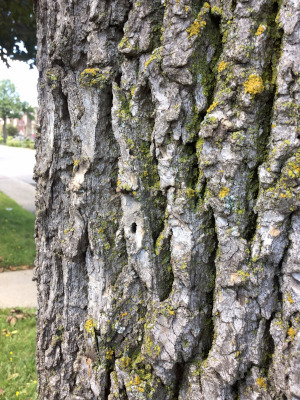 The emerald ash borer beetle has infested many ash trees on the Island of Montreal, including several in Montreal West. 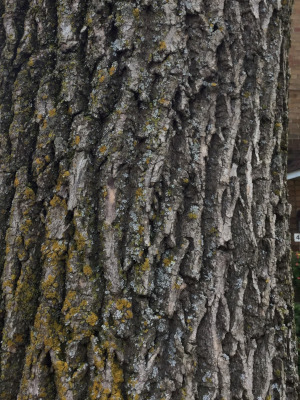 If left untreated, infested Ash trees die within five years. 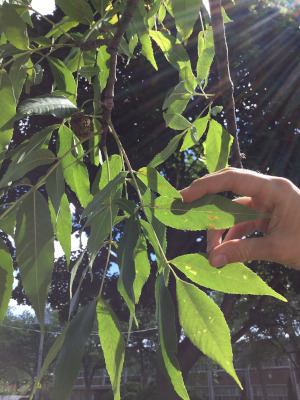 To combat this infestation, all our public Ash trees have been inoculated with a vaccine called TreeAzin. 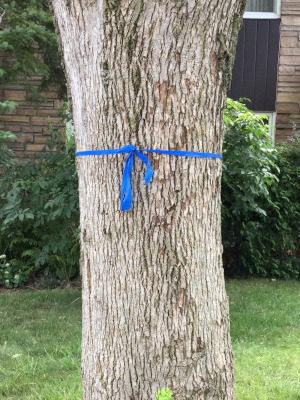 You may have seen the blue markings at the base of certain street trees; this indicates that they have been included in the program. 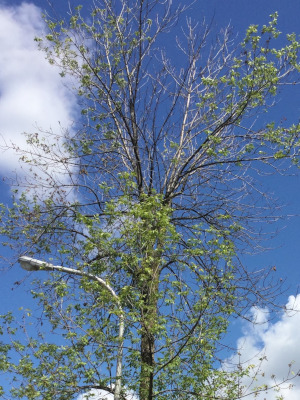 Our vaccination program, however, has only covered public trees, not those found on private land. 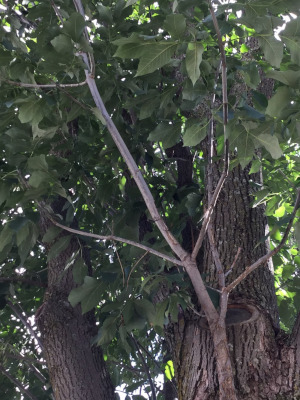 Saving your tree makes sense financially, socially, and is essential for your own security. Visit the Canadian Food Inspection Agency website for more information. 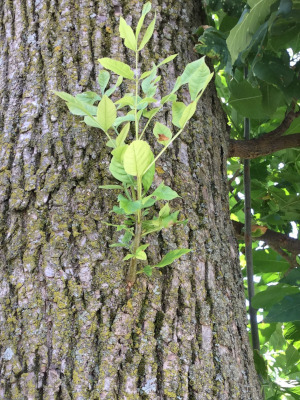 Please note that the treatment doesn’t assure your tree’s survival. When seeds are present, they are oar-shaped and grow in bunches. 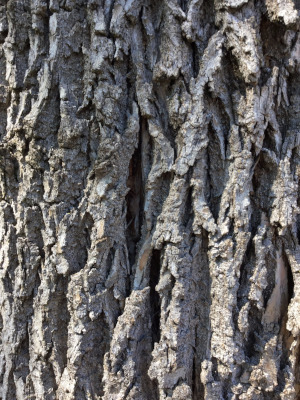 What does an infected Ash tree look like?